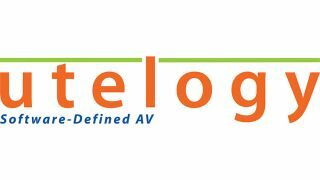 Utelogy Corporation, creator of audiovisual control, management, services, and analytics software for use in higher education and enterprises, has released the beta version of its Managed Services Portal. The Managed Services Portal is part of U-Manage, which provides enterprise-wide visibility to rooms, equipment, issues, performance and usage. The portal’s features include 24/7 remote monitoring and network management, remote helpdesk support, asset lifecycle management (warranties, updates), control software-as-a-service, and white-label customization. In addition to proactive maintenance, the portal can also enable analytics and IoT insights data to deliver other new revenue opportunities. “Most service providers in this industry are not used to having this data, but they will soon find the data is the strategic advantage,” said Utelogy CEO, Frank Pellkofer. “Our Managed Services Portal offers IT [value-added resellers] and integrators the opportunity to enrich customer deployments with enhanced analytics to provide more long-term value. And for end users, it allows them to use the U-Manage portal to manage their entire global enterprise. For a live demonstration at Integrated Services Europe 2018, February 6 to 9, 2018, visit hall 14, stand M170.